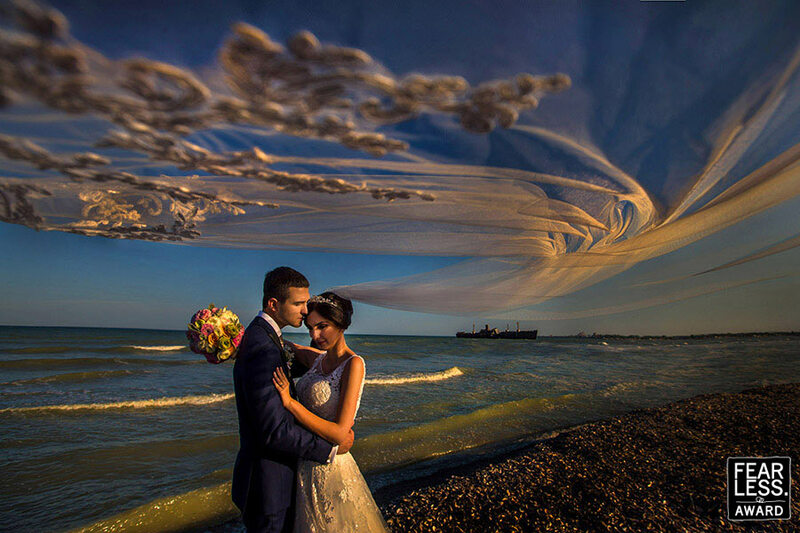 Veils in the wind have become a common prop in wedding photography—but rarely is the effect executed so inventively. Spanning the frame, the embroidered details become delicate clouds in the evening sky. The pebble-strewn beach and ship in the background add a gritty edge to this painterly portrait.